Virginia Tech students aren’t the only ones getting new living quarters these days. Early next year, the university’s dairy cows are moving to new, state-of the-art facilities near campus — a move that ensures the long-term success of the university’s award-winning dairy science program. Construction is now underway at a 35-acre site at Kentland Farm that can accommodate a lactating herd of 230 and take advantage of Kentland Farm’s proximity to feed production and grazing lands. The new buildings should be completed by early 2015. “This is a great opportunity for the students getting a hands-on education about dairy science, for the scientists conducting research at the new complex, and for the dairy industry, which relies on the applied knowledge that the university provides,” said Alan Grant, dean of the College of Agriculture and Life Sciences. 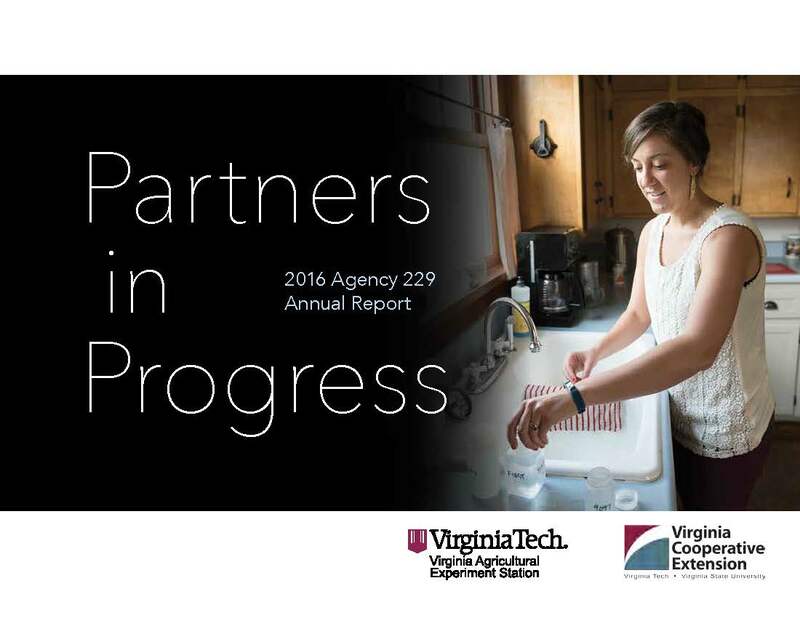 The dairy relocation will make way for the planned growth of the Virginia Tech Corporate Research Center, the expansion of the Virginia Tech/Montgomery Executive Airport, and the construction of a new interchange at Southgate Drive and Route 460. Nongeneral funds and proceeds from the sale of 26 acres of land to the airport authority are covering the cost of the new $14 million dairy facilities. 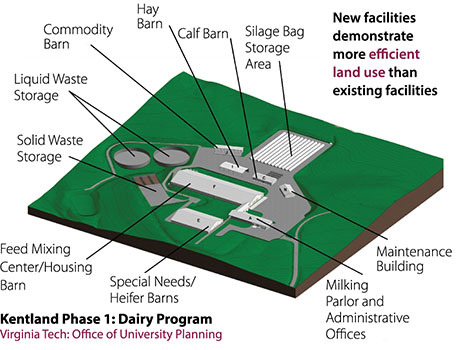 The General Assembly has also approved planning money for the next phase of construction, which will include a dairy-focused teaching facility located near Plantation Road, a reproduction facility near campus, and an intensive research barn at Kentland Farm that will focus on metabolism. 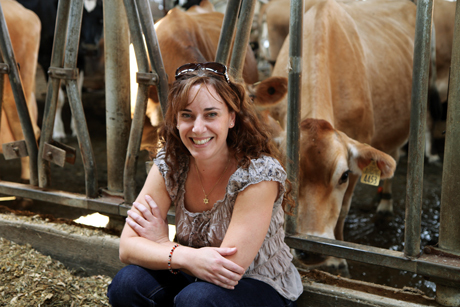 Associate Professor Isis Kanevsky-Mullarky is working to develop a vaccine that will prevent Staphylococcus aureus in cows. Cows produce more milk and cost farmers less in treatment costs when they are healthy. But a common bacterial infection, Staphylococcus aureus, can end up spreading disease among animals and whittling away dairy farmers’ profits in record time.